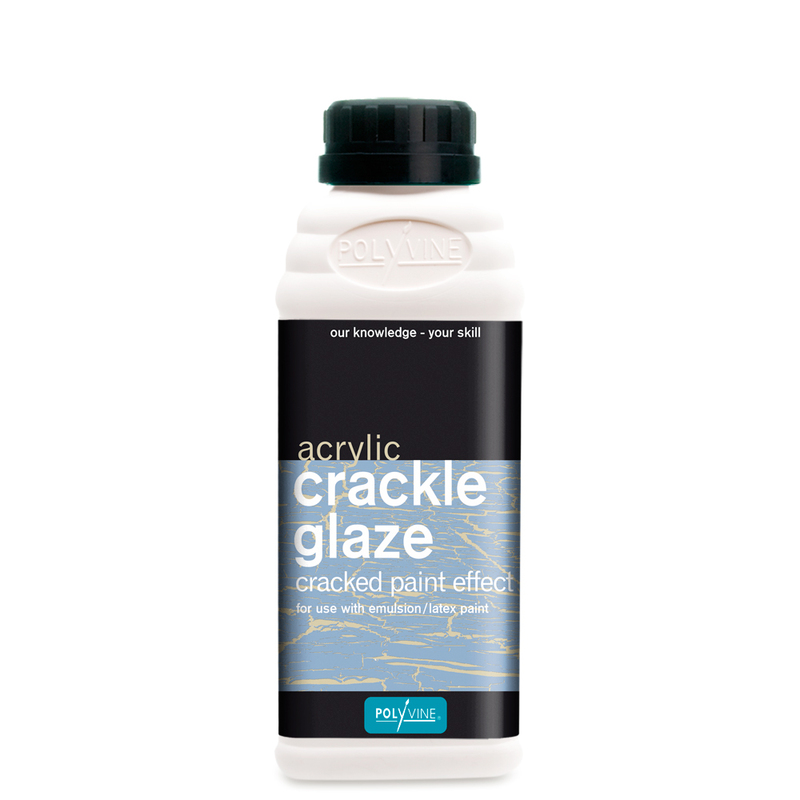 Choose two colours of matt emulsion paint, one for the base coat – the colour of the cracks, the other for the top coat. Apply the base coat and allow to dry. Seal with Polyvine Decorator’s Varnish. 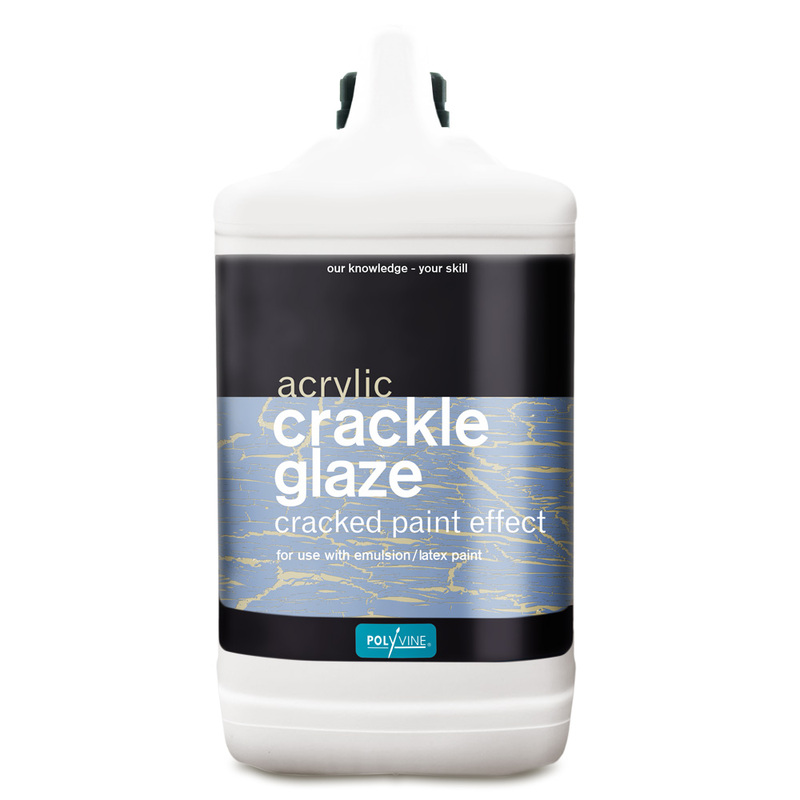 Mix the crackle glaze well. Apply in one direction and allow to dry. This coat must be smooth and even. If not, remove the glaze with a damp cloth and re-apply, working it into the surface with the brush before laying off to a smooth even coat. Apply the topcoat of matt emulsion, thinned with water to produce an easily flowing paint. 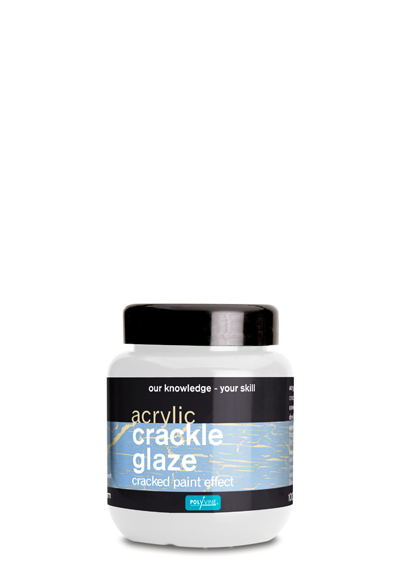 Apply at right angles to the crackle glaze coat. Load brush with generous amount of paint and apply in one pass only, allowing the paint to flow off the brush. 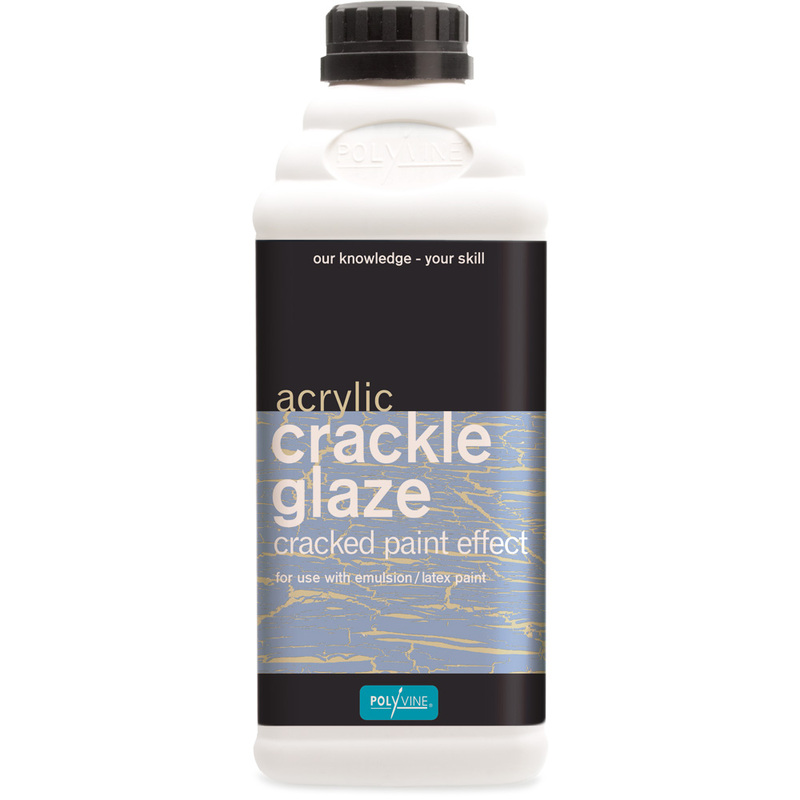 Do not over brush as this will mix the glaze and paint and no cracks will appear. The thickness of the topcoat determines the size of the cracks – the thicker the coat the wider the cracks.